What’s More Important – Backup Software or Hardware? Ask a baker what’s more important, the ingredients or the oven? Ask a contractor if the materials or his tools are more important. Ask a politician if the truth or the votes are … Hmmm. OK. That’s not such a good example. In backup, I would argue that the customer’s ability to manage retention policies and their unique data restore priorities are more important than either the hardware or software, but I’ll stick to the question (after shamelessly making my point). The answer for backup software or the hardware as more important must fall on the symbiotic relationship between them. Interestingly, as the server and storage technologies continue to zoom toward performance heights we only dreamed about a decade ago, I believe the software for all functions of backup will hold the edge. This position does not hint to the unimportance of a packaged appliance of hardware and software, though. In fact, I believe the success of software’s importance relies upon the automation and simplification of the data protection business function into easy-to-buy and easy-to-operate solutions. Even as data protection moves into a “service” that small data centers can soon buy (just like home users and single server companies do now), the service providers need the automation and simplification of appliance solutions in order to meet their service level agreements. Just because a small or even large business eventually will be able to use a service for backup doesn’t mean than magic takes over. The delivery of the full requirements of data protection still has to be accomplished. I bang the drum constantly for the triumvirate of backup as backup/archive/DR. DR meaning disaster recovery. Backup, archive and disaster recovery are three different, though related, things. The reason software becomes more important is that the hardware – everything from the server and it’s storage, and the connectivity between them and out to the LAN, WAN, SAN worlds – becomes more and more transparent in the evolution of information technology. Eventually, they become a “utility” to the data centers, just like electricity. You will soon purchase so many IOPS (Input/Output Operations Per Second), so many petabytes (just skipping ahead to the measurements of the near future), and the hierarchy of performances that you want. Yes, I’m talking more about hardware, so it sounds like the hardware is more important. The point I’m making is that we need to concentrate more on the backup software from both a competitive point-of-view (where we manufacturers often stand) and from a features/function point-of-view (where customers stand) in order to provide the relevant and business-advancing capabilities for customers. To solve the backup, archive and disaster recovery problems of the corporate environment the backup software is king, and will continue to reign as more important. I say that, because hardware is already on a hyper tear towards digital nirvana, so to speak. The software-building folks in the data protection world are now the key to true success in this industry. 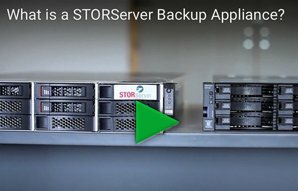 If it weren’t for IBM’s Tivoli Storage Manager (TSM) software product that we use in the STORServer Appliances I would add that the software folks have dropped the ball and are way behind in providing elegant and robust software. TSM has kept pace with the hardware technology growth, and in many places has been almost prescient in preparing for where servers and storage are going (virtual storage pools, for example). The leaps and bounds yet to come look good for software, but the pressure’s on. Technology already has a screaming roadmap, and it’ll be exciting to see how the software keeps up. ← Is your Disaster Recovery plan ready?